Education and research have figured prominently in Nadhmi Auchi’s lengthy list of charitable interests. 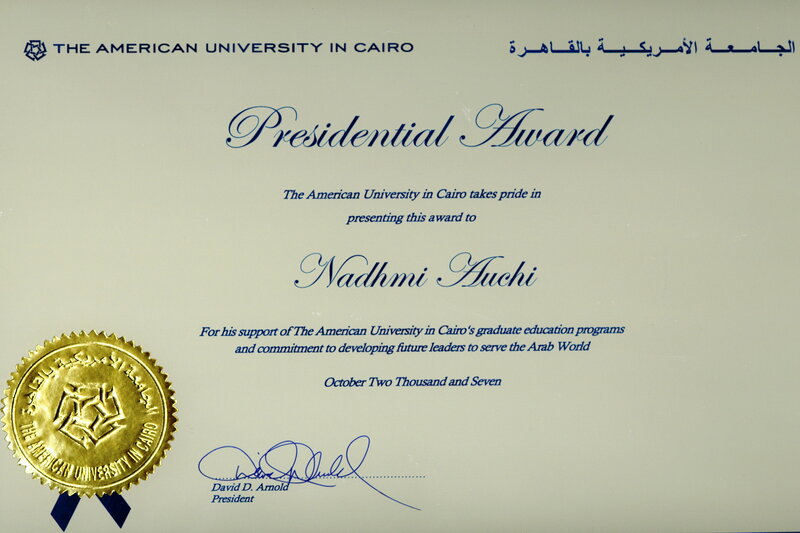 These include the creation of a fellowship for young Arabs studying business management and leadership for which in October 2007 he was presented with the Presidential Award by the President of the American University of Cairo. From 1996 to 2000 he served as vice-chairman on an advisory committee to the Institute for Social and Economic Policy in the Middle East at Harvard’s Kennedy School of Government. 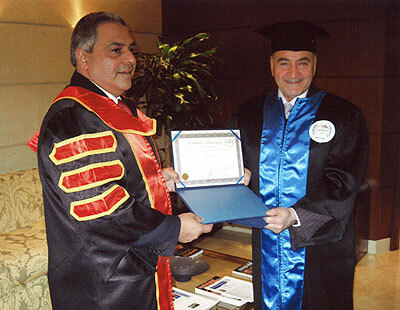 The full range of Nadhmi Auchi’s charitable and humanitarian concerns was recognised in November 2009 when he was awarded an honorary doctorate from the Netherlands’ Lahaye University at a ceremony in the Jordanian capital of Amman. The degree – the highest honour bestowed by the university – was given in recognition of his leadership in business, education and research.